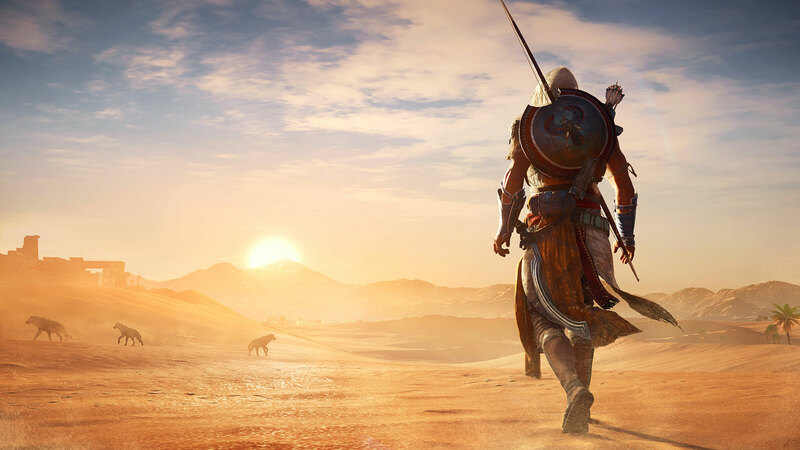 Assassin’s Creed Origins, the successful latest entry in the series developed by Ubisoft, is going to receive a rather big update which will introduce new features and mechanics to the game. The new update will introduce, among other things, an enemy scaling option will bring enemy’s level to Bayek’s if they are lower. A new Nightmare difficulty option will also be introduced, making the game more challenging than ever, as well as two new quests. Nightmare mode: a new Nightmare difficulty level will be available. The enemies will become more resilient to damages and more dangerous. Enemy scaling: by popular request, we will add the enemy scaling option. When this option is activated, the game automatically scale the lower level enemies to your level. Nightmare and First Civ pack items will be available in the Heka Chest. A new quest introducing Horde mode. The event quest, Here Comes a New Challenger, will introduce you to Horde mode to satisfy your warrior longings. You can prove yourself in the Cyrene arena against unlimited waves of foes. We recommend Level 32 or higher. Assassin’s Creed Origins is now out on PC, PlayStation 4 and Xbox One. The next update will release sometime this month.